'Jackie Wilson said (I'm in heaven when you smile)' was written and recorded by Van Morrison in 1972 on his album 'Saint Dominic's preview'. It was inspired by a line in Jackie Wilson's song 'Reet petite'. 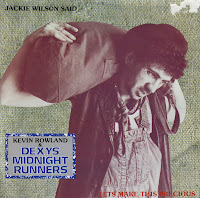 In 1982, British pop band Dexys Midnight Runners recorded and released a cover version of 'Jackie Wilson said' on their album 'Too-rye-ay'. 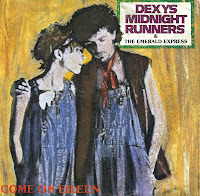 It was released as the follow-up single to their UK number 1 hit 'Come on Eileen' and reached number 5 in the UK singles chart. It also got to number 21 in the Dutch Top 40. The chorus of 'Come on Eileen' by Dexys Midnight Runners was loosely inspired by the song 'A man like me' by the Sixties British soul group Jimmy James and the Vagabonds. When the song was released as a single in the summer of 1982, it reached number 1 in the UK singles charts, staying there for four weeks. The single also reached number 1 in Australia and the USA, while peaking at number 4 in the Dutch Top 40. Two decades later, frontman Kevin Rowland would create some controversy releasing a solo album wearing a 'men's dress' on the cover. 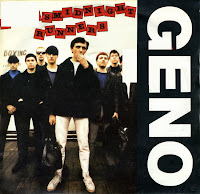 Dexy's Midnight Runners released 'Geno' in March 1980. Two months later, it reached number 1 in the UK singles chart. It was their second single. The song was a tribute to soul singer Geno Washington. The song's style - with classic soul influences - was out of sync with the popular new wave sounds of the time. I'd forgotten this song totally until I heard it again sometime in 1996. A few months later, I was able to find a copy during a lovely weekend in London.